Mens Sequin Shirt Love. Our mens sequin shirt is all business on the front and party ready on the back. Regular fit button-front shirt with the best of both styles designed with a brilliant, sequined back. Constructed with button-down collar, front-button closure and curved bottom hem. Mens sequin shirt includes small logo applique on the chest. 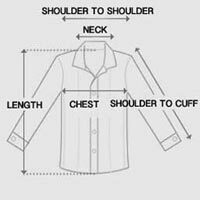 Long sleeves can be rolled up with button tab on both sides. Back of shirt includes rectangular “LOVE” panel made with black and white sequins. Pair this shirt with a blazer to go business casual or put the sequins in the spotlight for an evening look. Wear this mens sequin shirt to look trendy from all angles.